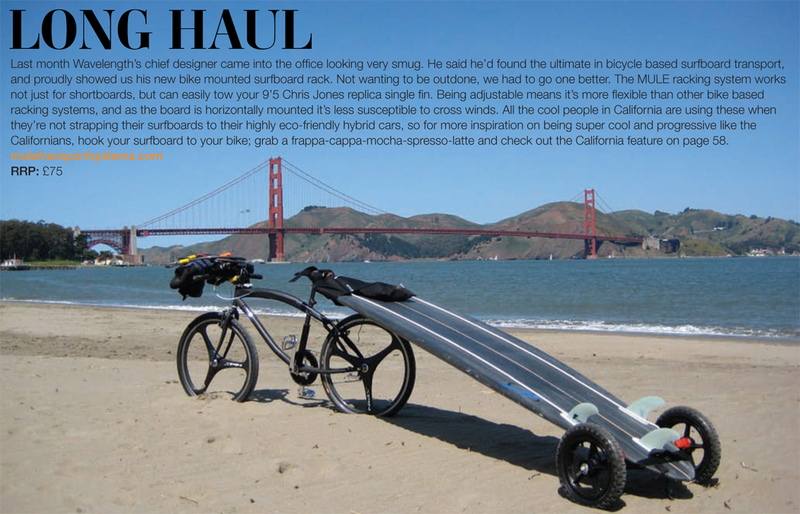 Mule Transport Systems ‘Long Haul’ is an innovative cycle and surfboard solution for longboards, making it easy to transport boards over 7ft long to the beach in an environmentally friendly – and heathy way. 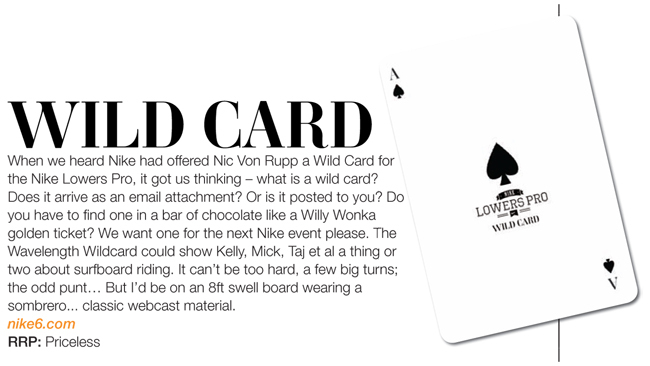 The Wild Card… Not a product you’ll find in shops, but a fun idea in the wake of the Nike Lowers Pro surfing competition. The idea of having an unseeded, non ranking surfer flailing around in the water whilst over 5 million people watch on a live webcam would be quite a spectacle. The FliTunes Frisbee added a new dynamic to the Wavelength Surf Magazine head office during summer 2012. 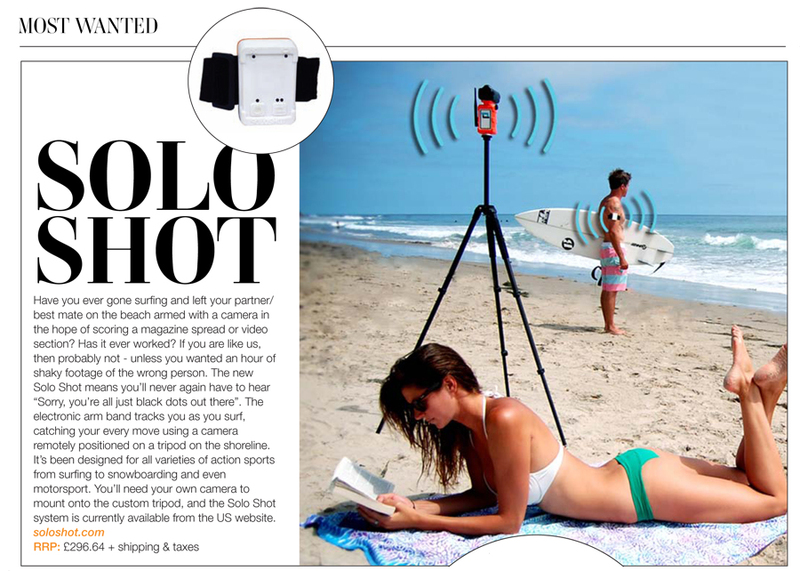 As a frisbee and as a miniature amplifier, the Flitunes is a great addition to your summer beach bag. The Solo Shot takes the ‘selfie’ to a new level, giving the surfer the freedom to surf whilst capturing every move from the beach. The Cocoon Tree caught our eye as being an incredibly relaxing place to be. 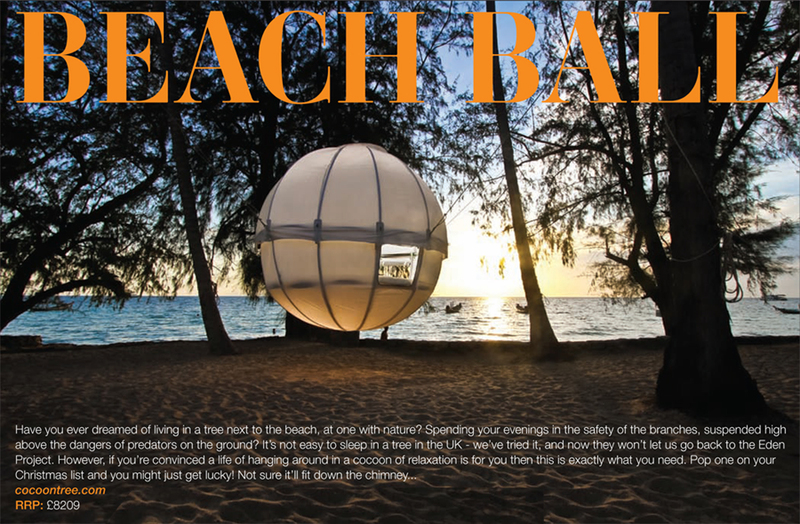 Although the Cocoon Tree has been seen at many high-end hotels, it’s available for the general public to purchase… Although the view isn’t! At Wavelength Surf Magazine, we’d often receive parcels claiming to be ‘the next big thing in surfing’, but the 3D Fins really did impress. The golfball technology works to give the surfboard a fresh feel, and in M3 size made a big difference to our 5’10 surfboard in average sized UK waves.